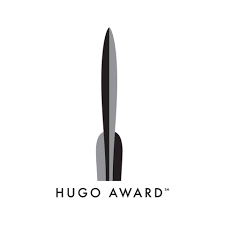 As I was saying… nominations are now open for the 2019 Hugo Awards, to be presented this August in Dublin. You need to be a member of either the Dublin worldcon, or last year’s gathering in San Jose, to nominate. There are two rockets given for editing. As with drama, the editorial awards are split into Long Form and Short Form. In simple terms, the Long Form award is for those who edit books (novels, mostly), and the Short Form for magazine and anthology editors. (Before they split the award, the magazine editors won everything, and the book editors got nothing). Lots and lots of good editors out there. In Long Form, I recommend you strongly consider two of my own editors: ANNE LESLEY GROELL of Bantam Spectra/ Random Penguin in the US, and JANE JOHNSON of Harper Collins Voyager in the UK. Anne and Jane have both been doing amazing work for decades, and have been criminally unrecognized. Anne has only been nominated for a Hugo once, and Jane has never been a finalist at all… though she has been one of the major players in the British SF scene for as long as I can remember, and has built Voyager into one of the top UK genre publishers. Last year, both of them did some incredible work… especially for me. 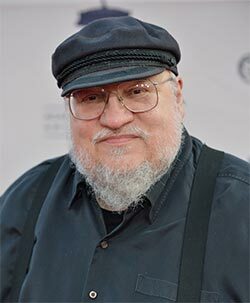 They were the editors on FIRE & BLOOD, my book of imaginary Westerosi history. Let’s look beyond the usual suspects this year, and nominate these two amazing women. In Short Form… well, we have the usual suspects here as well, in a category usually dominated by the editors of the major magazines, both print and electronic. Anthology editors are eligible as well, however, so let me blush modestly and suggest that perhaps you might consider… well… me. I have been editing the Wild Cards series since 1987, thirty one years and counting, and we’ve published some amazing stories over the years. I’ve edited my share of reprint anthologies and theme anthologies (many with Gardner Dozois), demanding gigs both, but neither one is as tenth as hard as editing a shared world anthology and pulling it all together. I did come in seventh on the long list once for my editorial work on Wild Cards (back when five works made the ballot), a decade or so back, but that’s the closest I’ve ever come. (No matter, it’s a labor of love, I sure don’t do it for the money). Wild Cards had an especially strong year in 2018, I believe. Though I’ve lost lots of Hugos as a writer, I’ve never lost one as a editor. Maybe this is the year.